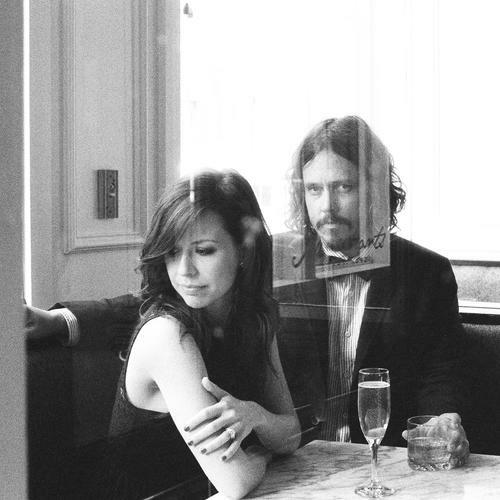 After being released last year in their native United States, duo Civil Wars' debut album, Barton Hollow, has now been released in the UK for their fans to get their hands on. The album has already won two Grammy awards and a support slot with Adele who has lavished praise on them, calling them the best live act she has ever seen. Not bad for a band whose popularity has snowballed since one of their songs featured on medical dram, Grey's Anatomy. Barton Hollow kicks off with '20 years' which has some luscious acoustic guitar playing which is followed by the lovely singing voice of Joy Williams. One particular element of this album is how simplistic the instrumentation is. The album is never over layered with guitars, drums and what not. This allows Williams and John Paul White's singing to flourish without sounding impeded. The singing of the duo becomes the centrepiece for this album. And this is reflected perfectly in 'To Whom It May Concern' as the duo's voices sing in harmony showing a particular warmth and delicacy complimented by the accompanying string arrangements and acoustic guitar. One of the highlights on this album comes in the shape of the album's title track, Barton Hollow (Watch it below!!) which is a total foot stomper of a song and reminiscent of Elbow's 'Grounds For Divorce.' Civil Wars' combined vocals constantly go from soaring right back down to a gravel like darkness. After hearing such stripped back acoustic arrangement in the prior tracks it is the most vigorous song on the album. 'Poison and Wine,' one of the album's single's, sees Williams and White's at their best, lyrically it tells the story of emotionally drained lovers. A standout song on the album for the singing's felling of fragility. White's almost quivering like vocal on this helps draw the emotion out in the song as if bringing a character to life. Upon listening to Civil Wars, you are reminded of the work by Robert Plant and Allison Straus. But Williams and John Paul White manage to create a sound that is easily recognised due to the style of their own voices and the way they intertwine with one another. They help tell the stories in the songs and the sparse music is the perfect background to bring them to life. One of the best albums in the past few years that can delve into human emotion and create a reaction in the listener.